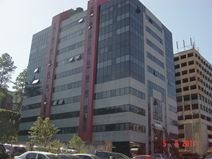 Set in a comfortable and safe upscale district of the city, this exquisite serviced office centre provides a range of workspace solution types and working configurations, along with a whole host of professional business support services. 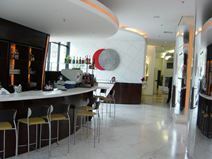 The center is extremely well furnished with a wide range of stylish fittings and facilities and is also very close to a good selection of the area's very best local amenities including hotels, restaurants and residential areas. This very comfortable serviced office centre provides a wide range of executive suites and professional services with the state of the art facilities and provisions of the very highest standard. The building boasts a heliport, as well as a great range of business support services. This easily accessible business installation is the perfect venue for clients requiring a secure and comfortable corporate environment to base operations, as well as for commercial events, functions and meetings. 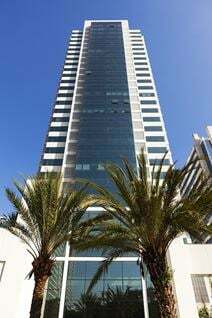 In the heart of the Alphaville district, Bareuri, this centre offers modern and fully equipped offices and workstations that benefit from spectacular views from the beautiful building they inhabit. Close to the main airports and 25 minutes from the city centre of São Paulo, this center is easily accessible and offers some of the most ideal and professional workspace solution packages available anywhere in the general region.